Caution: If you don’t want to get involved with an endeavor that might seem outlandish, maybe even risky, but for a good cause, stay away from Chris Field (’06). This is a man who has set four Guinness World Records – all involving people he got to join him – run 22 marathons, made almost 40 trips to Ghana to check on a ministry he started there, teaches a class at Texas A&M University, is a husband and father to four children ages 10 months to 8 years, and oh, by the way has a new book, published by ACU Press. Chris, 35, is a 2006 ACU graduate who is married to another ACU grad, Stacey (Webb ’06). 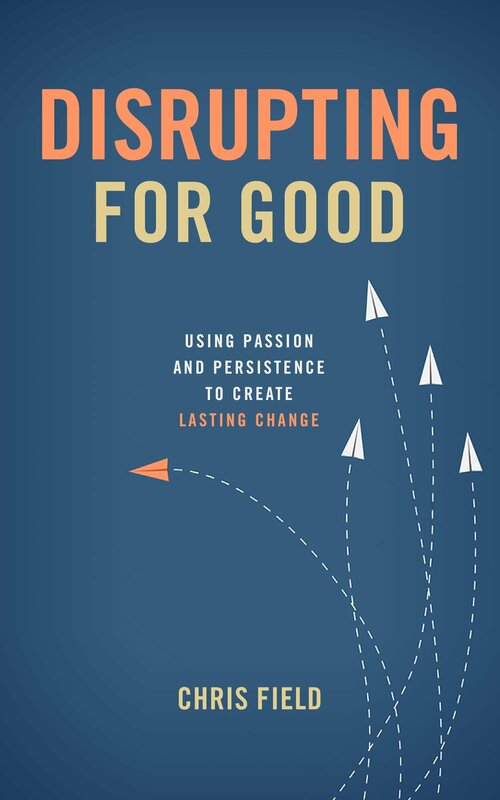 Somehow, with his marathon life, he found time to write Disrupting for Good: Using Passion and Persistence to Create Lasting Change. He started researching the book in 2016 and submitted a manuscript to Jason Fikes, director of ACU Press, in March 2017. The book now is available at acupressbooks.com or on amazon.com. “We at ACU Press are so excited to partner with Chris in sharing his stories of how everyday people are taking on challenges and reshaping lives,” Fikes said. Another caution: About a third of the book is a “disruption map,” which explains Chris’ unique process of disrupting for good and lays out an action plan so that the reader can become a disrupter, too. Being a disrupter more often than not carries a negative connotation, but Chris turned that idea on its head, starting in second grade when he identified a boy with social challenges that made him an easy target for bullying. Chris disrupted that potential problem before it started by sticking close to his friend in need. That second-grade experience was just the beginning of a lifetime of disruption for Chris. As a freshman at Texas A&M before transferring to ACU, Chris ran for mayor of College Station, finishing third of five candidates. That same year he was selected to run a camp near Austin for up to 700 inner-city kids. Those experiences caused a light bulb to go off in Chris’ head. “There is no limit to what you can do,” was the thought that occurred to him, setting him on the path to where he is now. And where he is now is a unique place. He and his family live in College Station, close to grandparents who help with the children, especially when Chris is away on one of his many trips to Ghana. College Station isn’t all that unique, but Chris’ situation is. He teaches a class in the business school at A&M based on his own experience of using business as a means of social change. 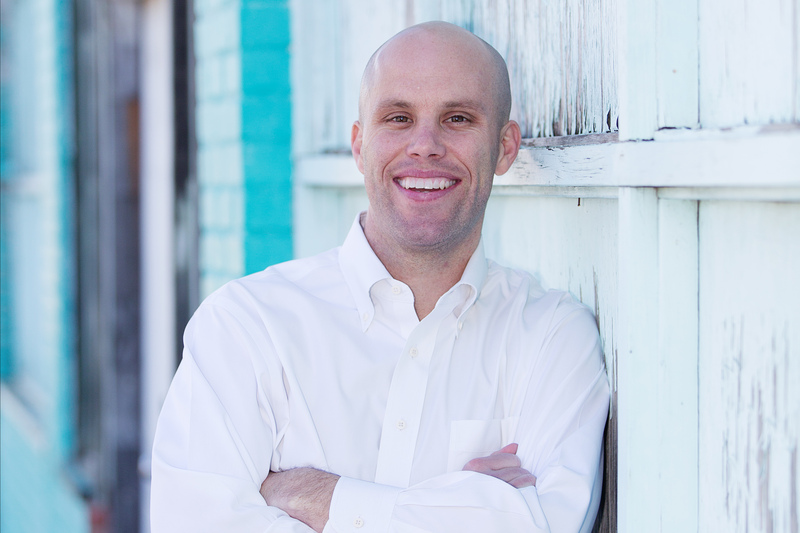 At ACU, Chris earned a bachelor’s degree and a master’s degree in Christian ministry but didn’t taken any business classes. In 2009, while preaching at a church in Rowlett, near Dallas, Chris made his first trip to Ghana, along with Pam Cope and her Touch A Life ministry. Cope is a sister-in-law to Mike Cope, former preaching minister at Highland Church of Christ. In Ghana, Chris saw firsthand how young boys are taken from their families – with the parents’ consent – and used as labor for the fishing industry. “I had no idea anything like that ever existed,” Chris said. It got his disruption juices flowing and the result was Mercy Project, which has removed 124 children from the forced labor in eight years. All of those children have been reunited back into their families. Mercy Project matches each family with a local social worker who walks alongside the family through a process of learning to work smarter and to budget better. Mercy Project assists with microloans to start small businesses and helps get the children access to the country’s free healthcare. Mercy Project also sponsors children in school, assisting with books and uniforms. Even with no business experience, Chris learned about more efficient practices in the fishing industry that decrease the need for child labor. He partnered with 10 fishing industries and the success of the Mercy Project has caught the eye of others. “It’s drawn a fair amount of attention,” Chris said. Mercy Project is Chris’s “baby,” but he has help. Twelve Ghanaians work on-site, including a husband and wife team who serve as directors. Clint Askins (’07) and his wife, Hailey, were the first directors in Ghana. They now live in Denver, where Clint is Mercy Project’s chief of operations. Chris is staying busy teaching, being a family man, fulfilling speaking engagements and focusing on solving world problems by being a disrupter for good. For his book, Chris searched online for people who are disrupters for good and then told their story. Through the book, his class at Texas A&M and his speaking engagements, Chris is on a mission to transform everyone into a disrupter for good.